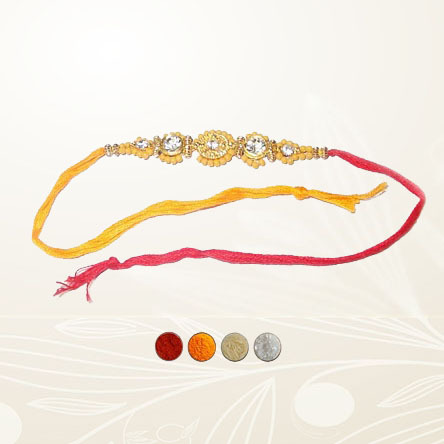 This is an elegant set of three premium stone diamond aura bracelet and jeweled Rakhis. 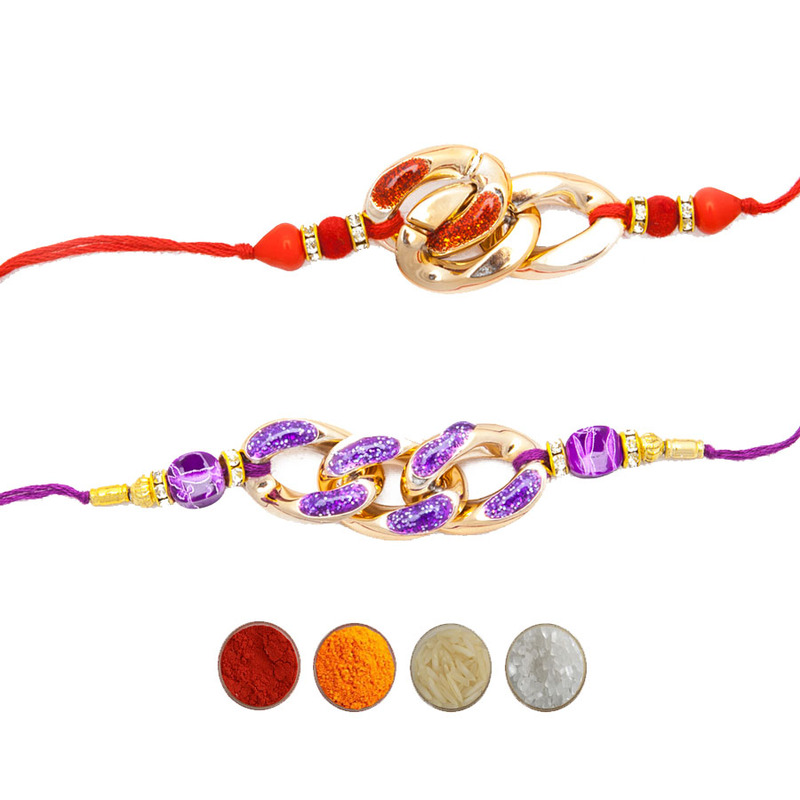 This would be a perfect Rakhi combo option for your three sweet brothers. 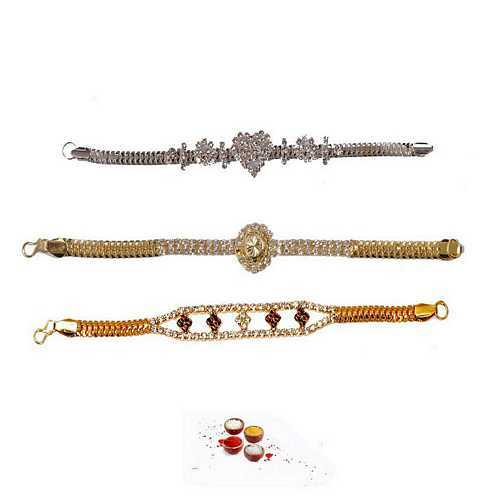 Studded with diamond premium stone or small american diamonds in silver and golden chains these all the rakhis are elegant and look very stylish. 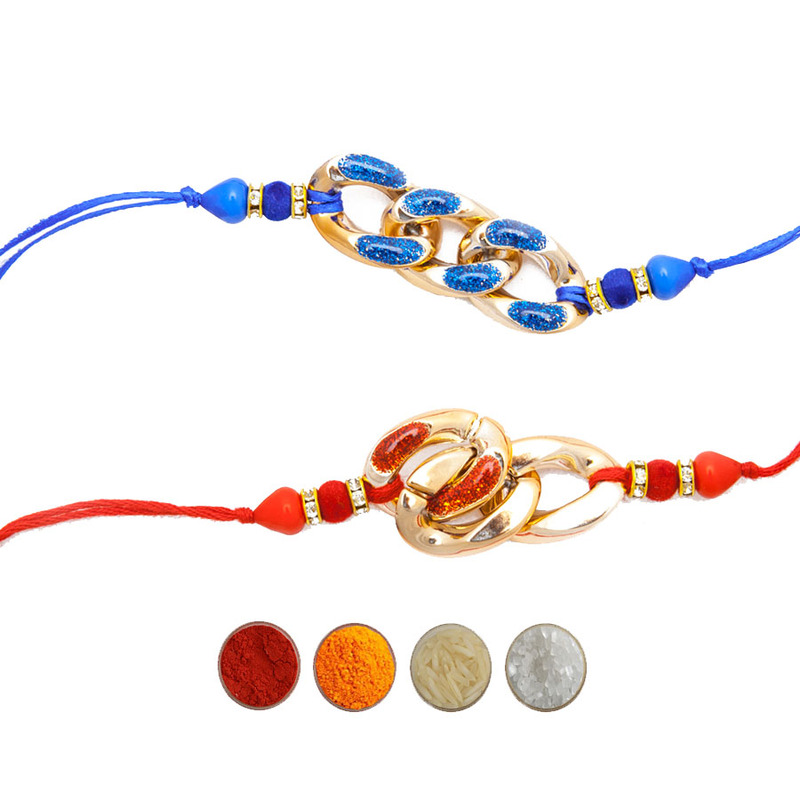 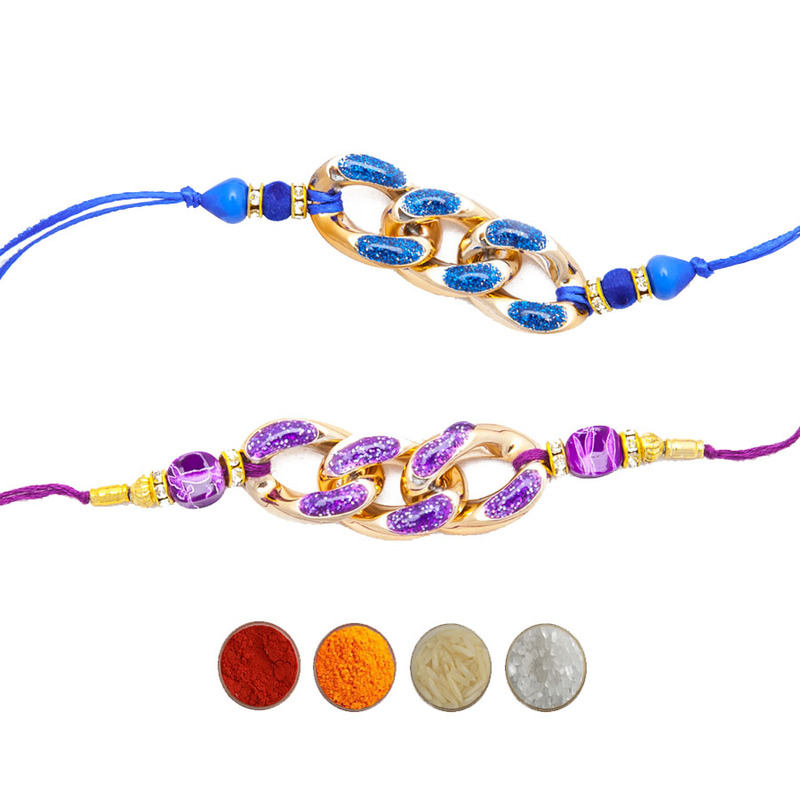 Impress your Bhaiya with beautiful jeweled bracelet rakhis sending online to India. 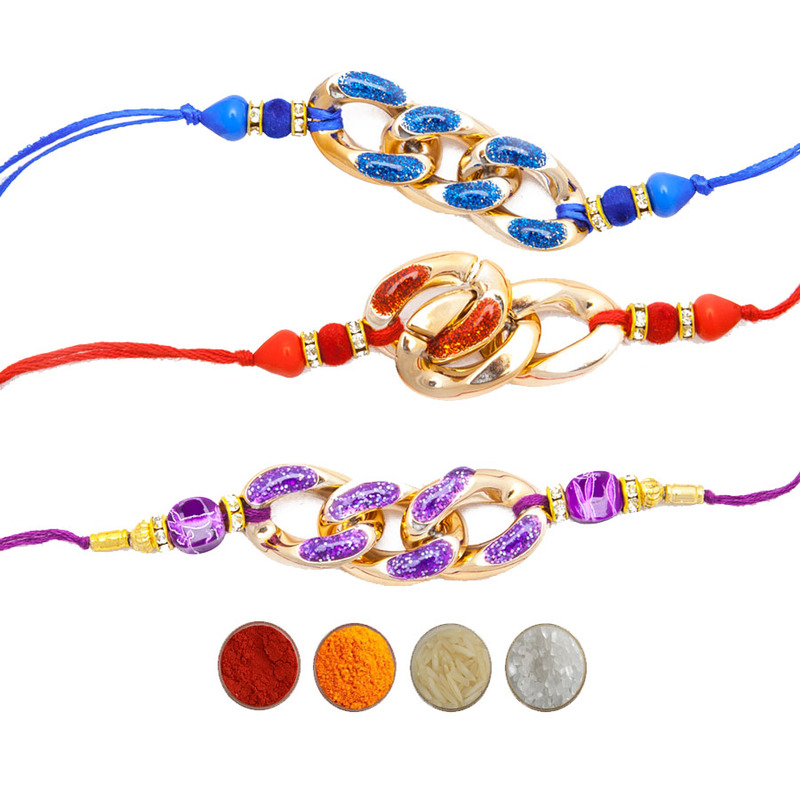 We are offering premium stone bracelet rakhis set of 3 with free Roli, Chawal, Chandan and Mishri in very attractive packaging.